11/26 9:30am update: Despite the vigorous rumors swirling yesterday around the sale of Petra island to Brangelina yesterday, credible reports indicate that Brad and Angelina will not, in fact, be our neighbors. —The Ed. 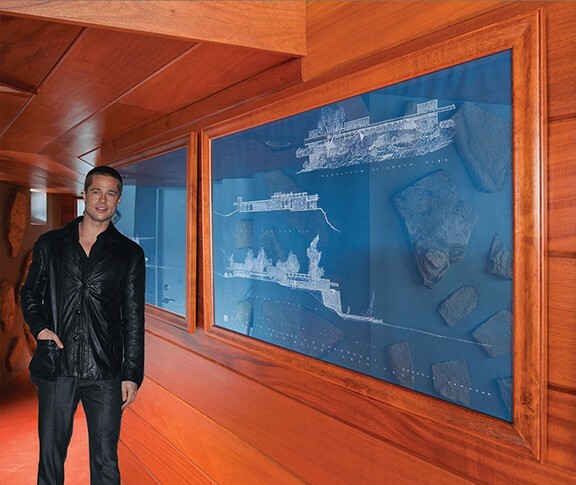 Brad Pitt at his Petra Island home. 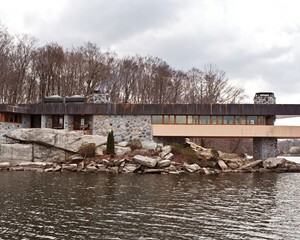 Chronogram profiled this secluded Frank Lloyd Wright-inspired structure back in May 2011, when it was owned by sheet-metal mogul Joe Massaro. When we learned that Angelina Jolie bought it for Brad Pitt as a 50th birthday present, we sent around a photographer. Here are some pics we snapped of the happy couple on their 50-acre heart-shaped island on Lake Mahopac. 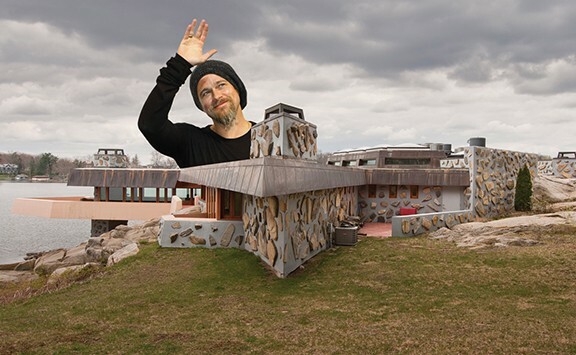 Brad Pitt standing in front of the plans for his new Frank Lloyd Wright inspired home. Brangenlina in the dining room. 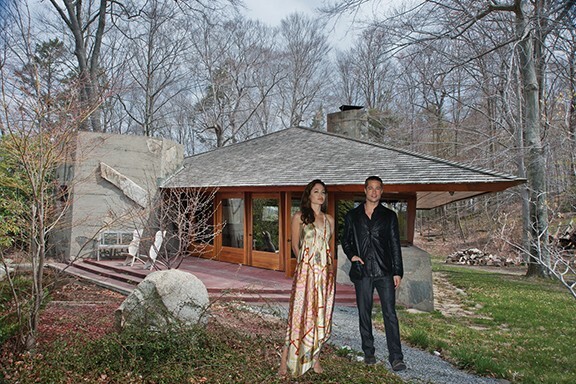 Brangelina outside the authentic Frank Lloyd Wright cottage. Brangelina in their funky fresh bathroom.